In times of crisis, relief efforts tend to be allocated to the affected people’s most urgent needs, like food, water and housing. But often, the things that get tossed aside — like arts and culture — are actually the values that hold communities together. So, in the aftermath of a pair of devastating hurricanes in Puerto Rico, a collective of 20 artists banded together under Rivera-Servera’s leadership to rebuild the entertainment scene, which is developing alongside Puerto Rico’s roads, bridges and homes. The group hopes to not only rekindle the residents’ passion for the local arts, but to also create a learning community for the artists to mature and grow. 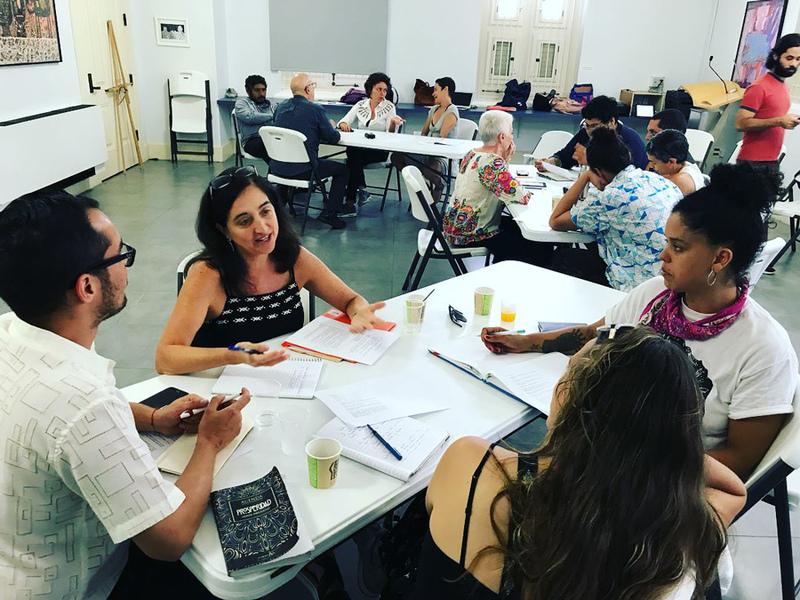 Northwestern kicked off the two-year arts development project in Puerto Rico last August, aided by a $500,000 grant from the Andrew W. Mellon Foundation, which partly assists select colleges and universities to train scholars in the humanities. During the initiative, the 20 emerging artists and mentors are altogether honing their craft and holding training sessions on the island, at NU and other college campuses they plan on visiting for their artistic residencies. The initiative will culminate in a final commissioned project in Puerto Rico, aimed to exhibit both the artists’ personal growth and their response to the island’s troubling political climate, said Nibia Pastrana Santiago, a dancer, choreographer and co-mentor of the program. Artists were one of the first communities to respond to the crisis, she said, immediately building networks among performers in Puerto Rico and creating pieces that dealt with the hot-button issues head on. “After your personal life gets a bit stable, you go back into your practice, you clean the studio, you find ways of dealing with old materials or damaged goods … and you get to work,” she said. Awilda Rodríguez-Lora, a Puerto Rican performance artist who joined the NU-funded project in the summer, said she is “extremely grateful” for Northwestern’s help in rebuilding the arts scene on the island. After she returned to Puerto Rico in 2010 to energize her career there, Rodriguez Lora said she faced many struggles most contemporary artists come up against, but now has the time and resources to just “look at the work” and rethink her practice in the context of her experience after the hurricanes. Rodríguez-Lora added that she finds it difficult to remove politics from her work — but that she hopes the audience appreciates seeing a project and portrait that stems from her own identity, and from the questions she’s asking as a Puerto Rican native hoping to bring about change on the island. The Northwestern grant, though a secondary fundraising effort to help sustain the arts scene in Puerto Rico, will fund a total of 10 artistic projects over the course of two years. The mentors will also hold several training sessions on various topics for the artists to participate in, such as portfolio development and workshop leadership. The artists will come to the Evanston campus this spring, where they will share their learning experiences with the students, lead workshops and reach a young audience that typically has little access to their work. They will then visit more universities — including Yale, Dartmouth, Ohio State and University of Michigan, Ann Arbor — as part of their grand tour, looking to engage with as many people as possible and showcase their projects. Rivera-Servera said he’s excited for the artists to visit NU, since culture is that “critical glue” that sticks us to one another, and the one instrument we have that allows us to just sit in a circle and openly share our stories and experiences.